Does the Bank of England Worry About the Cantillon Effect? The empirical data is in. And it turns out that as I have been suggesting for a very long time — yes, shock horror — helicopter dropping cash onto the financial sector does disproportionately favour the rich. 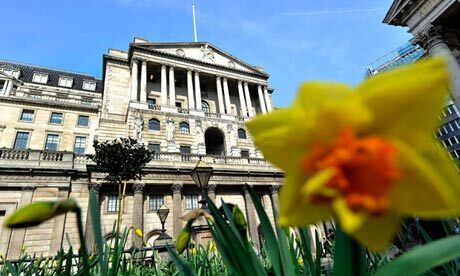 The richest 10% of households in Britain have seen the value of their assets increase by up to £322,000 as a result of the Bank of England‘s attempts to use electronic money creation to lift the economy out of its deepest post-war slump. The Bank of England calculated that the value of shares and bonds had risen by 26% – or £600bn – as a result of the policy, equivalent to £10,000 for each household in the UK. It added, however, that 40% of the gains went to the richest 5% of households. Although the Bank said it could not come up with precise figures for the gains from QE, estimates can be produced using wealth distribution data from the Office for National Statistics. These show the average boost to the holdings of financial assets and pensions of the richest 10% of households would have been either £128,000 per household or £322,000 depending on the methodology used. Are you concerned about the long-term social and economic implications of a monetary policy that enriches the rich over and above everyone else? Are you familiar with the concept of the Cantillon Effect whereby the creation and allocation of new money transfers purchasing power to whoever it is allocated to? Did you consider this effect prior to embarking on a program of quantitative easing to the financial sector? Given the financial sector’s awful track record in terms of blowing up the economy, fabricating LIBOR data for its own enrichment, and neglecting cash-starved small businesses, is the financial sector an appropriate allocator of new money? Now that the empirical record shows the policy of helicopter-dropping cash directly to the financial sector disproportionately favours the rich, have you considered changing course and adopting a different monetary policy that doesn’t favour any particular group? Sadly, I expect to see the announcement of more quantitative easing to the financial sector long before I expect to see answers to any of these questions. 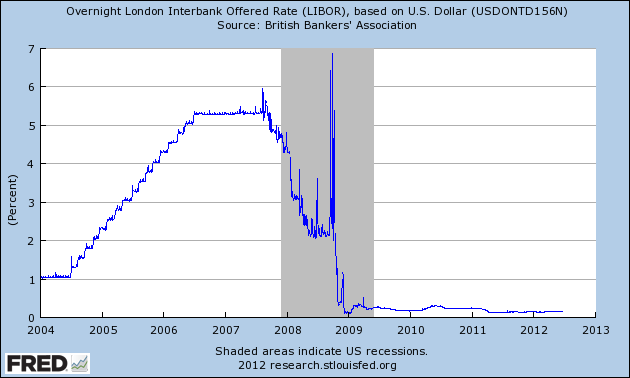 The Great LIBOR Bank Heist of 2008? The LIBOR manipulation revelations ask some interesting questions. Barclays and other large banks – including Citigroup, HSBC, J.P. Morgan Chase, Lloyds,Bank of America, UBS, Royal Bank of Scotland– manipulated the world’s primary interest rate (Libor) which virtually every adjustable-rate investment globally is pegged to. That means they manipulated a good chunk of the world economy. They have been manipulating Libor on virtually a daily basis since 2005. While the implications of this to the $1200 trillion derivatives market would seem to be profound, one question I have not seen asked much yet are the implications of the manipulation to the reality of the 2008 financial crisis. Here’s a really wild hypothesis: if the LIBOR rate was under manipulation in 2008, is it not possible that the inter-bank lending rate spike (and resultant credit freeze) was at least partly a product of manipulation by the banking cartel? Could the manipulators have purposely exacerbated the freeze, to get a bigger and quicker bailout? After all, the banking system sucked $29 trillion out of the taxpayer following 2008. That’s a pretty big payoff. LIBOR profoundly affects credit availability — and the bailouts were directly designed to combat a freeze in credit availability. If market participants were manipulating or rigging LIBOR, they were manipulating a variable directly tied to the bailouts. That means that every single tick must be under scrutiny; we know that rates have been manipulated for profit. I am no conspiracy theorist; it may just be a coincidence that a massive spike in a variable we now know to have been manipulated contributed to a credit freeze that led to historically-unprecedented bailouts. Yet it is no great leap of the imagination to say that the crisis may have been deliberately worsened for profit. Perhaps it is unpatriotic of me to ask, but are France’s shrill politicians right? Is the United Kingdom the weak link? The entente is no longer so cordiale. As the big credit rating firms assess whether to strip France of its prized AAA status, Bank of France chief Christian Noyer this week produced a long list of reasons why he believes the agencies should turn their fire on Britain before his own country. But is the outlook across the Channel really better than in Britain? Taking Noyer’s reasons to downgrade Britain – it “has more deficits, as much debt, more inflation, less growth than us” – he is certainly right on some counts. Britain’s deficit will stand at 7% of GDP next year, while France’s will be 4.6%, according to International Monetary Fund forecasts. 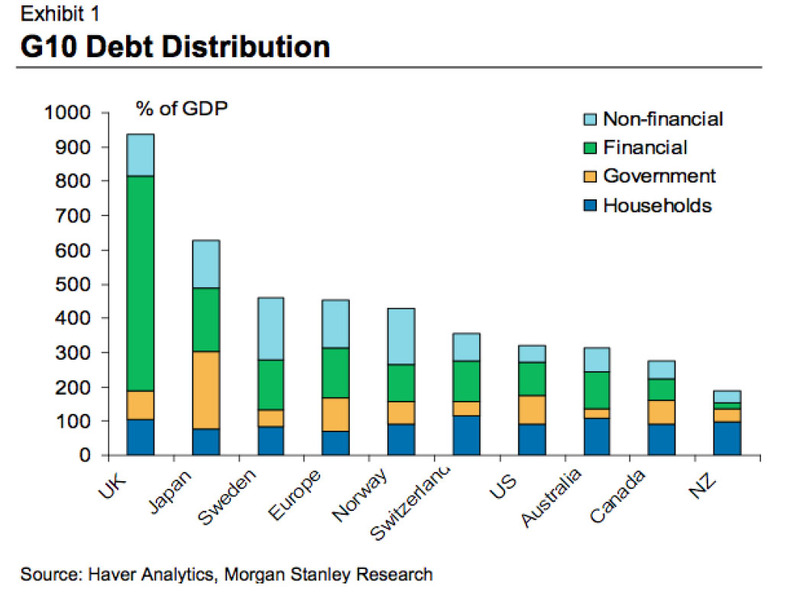 But Britain’s net debt is put at 76.9% of GDP in 2012 and France’s at 83.5%. UK inflation has been way above the government-set target of 2% this year and the IMF forecasts it will be 2.4% in 2012. In France the rate is expected to be 1.4%. On growth, neither country can claim a stellar performance. France’s economy grew 0.4% in the third quarter and Britain’s 0.5%. Nor has either a particularly rosy outlook. In Britain the economy is expected to grow by 1.6% in 2012. But in the near term there is a 1-in-3 chance of a recession, according to the independent Office for Budget Responsibility. In France, the IMF predicts slightly slower 2012 growth of 1.4%. But in the near term France’s national statistics office predicts a technical, albeit short, recession. There is one significant factor everyone is overlooking. While we sympathize with England, and are stunned by the immature petulant response from France and its head banker Christian Noyer to the threat of an imminent S&P downgrade of its overblown AAA rating, the truth is that France is actually 100% correct in telling the world to shift its attention from France and to Britain. France should quietly and happily accept a downgrade, because the worst that could happen would be a few big French banks collapsing, and that’s it. If, on the other hand, the UK becomes the center of attention then this island, which far more so than the US is the true center of the global banking ponzi scheme, will suddenly find itself at the mercy of the market. And why is the debt so high? Well, the superficial answer is that the UK is a “world financial centre”. The deeper answer is that the UK allows unlimited re-hypothecation of assets. Re-hypothecation is when a bank or broker re-uses collateral posted by clients, such as hedge funds, to back the broker’s own trades and borrowings. The practice of re-hypothecation runs into the trillions of dollars and is perfectly legal. It is justified by brokers on the basis that it is a capital efficient way of financing their operations. In the US brokers can re-hypothecate assets up to 140% of their book value. In the UK, there is absolutely no statutory limit on the amount that can be re-hypothecated. Brokers are free to re-hypothecate all and even more than the assets deposited by clients. That is the kind of thing that creates huge interlinked webs of debt. And much of Britain’s huge debt load — particularly in the financial industry — is one giant web of endless re-hypothecation. Even firms (e.g. hedge funds) that do not internally re-hypothecate collateral are at risk, because their assets may have been re-hypothecated by a broker, or they may be owed money by a firm that re-hypothecates to high heaven. The problem here is the systemic fragility. Simply, the UK financial sector has been attracting a lot of global capital because some British regulations are extremely lax. While it is pleasing to see the Vickers report, that recommends a British Glass-Steagall separation of investment and retail banking, becoming government policy, and while such a system might have insulated the real economy from the madness of unlimited re-hypothecation, the damage is already done. 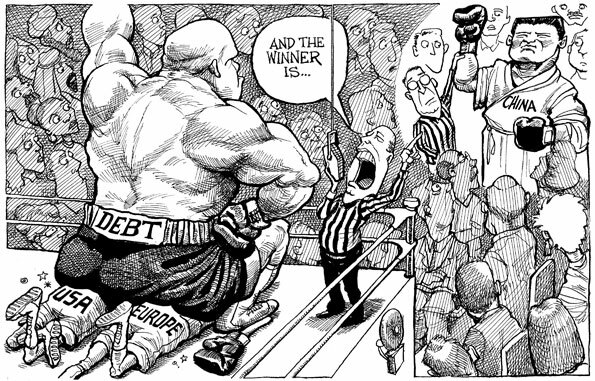 The debt already exists, and some day that debt web will have to be unwound. Now Britain does have one clear advantage in over France. It can print its own money to recapitalise banks. But with inflation already prohibitively high, any such action is risky. If short sellers turn their fire on Britain, we could be in for a bumpy ride to hell and back. Some readers have had a hard time understanding my position on China and America. In a nutshell: I am long production and short consumption. I am long creditors and short debtors. A comparison with America is inevitable. The United States destroyed its industrial productive capacity, has a zombified financial system (including a huge derivatives ponzi that is yet to collapse), a stagnating labour market, stagnating infrastructure, a clueless establishment, and its currency is about to lose global reserve currency status. The counter-argument I often hear is “but America has nukes, America can order other countries to do things and they will do it”. But, ever since mutually-assured destruction that hasn’t been true. 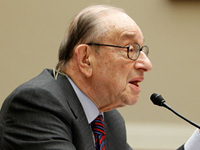 Sadly, Chairman Greenspan is sorrily wrong. There are others kinds of defaults, and currently one is ongoing as a policy choice. With rates low, it is only necessary to have a small rate of inflation for real rates to be negative. So are real interest rates really negative? It depends how we measure inflation. A huge aspect of my economic case is that — really — there is no such thing as a uniform inflation (or uniform inflation expectations), because there are different rates for different people, different communities and different strata of society. For welfare-recipients on a fixed income, food and fuel make up a much higher proportion of their income, leading to a much higher inflationary rate. For large corporations importing vast quantities of goods from China, inflation is undoubtedly lower. But no matter who you are, the rate of inflation is high enough to yield a negative real rate on cash. On Treasuries, this is not necessarily true. But real rates on Treasuries are undoubtedly close to zero, if they are not negative. Of course as I noted above that is the point of the zero interest rate policy: it is designed to spur holders of cash and Treasuries out of merely holding onto wealth, and instead into more productive ventures. The ostensible goal of the Federal Reserve’s policy, at this stage is to gradually increase productivity, output and unemployment and kick the can down the road for long enough to be able to get the burden under control. 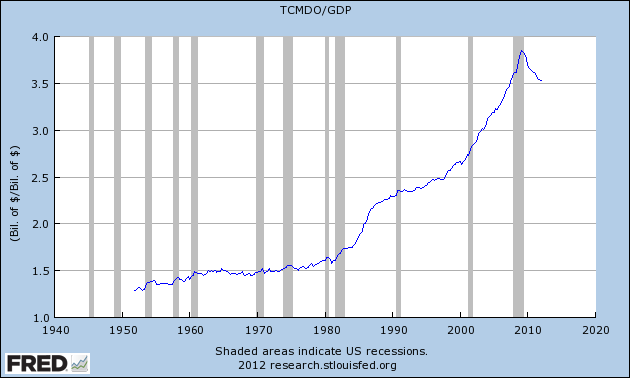 This is why Bernanke has called for further fiscal stimulus, as well as continuing monetary stimulus. In this environment, cash and Treasuries cannot be king, because cash and Treasuries are being deliberately throttled (even as the market deludes itself by pushing them to ever-greater heights). What is king? Returns above the rate of inflation, at least. Right now that includes gold, silver, stocks from various countries and continents, and corporate bonds — so long as they are not in default. But in the long run, the winner will be quality productive assets built around solid companies, solid entrepreneurs, solid products and solid ideas. Value investors have known this for an eternity. But in tempestuous markets, getting in at the right price and at the time is difficult. That is why so many investors are waiting on the sidelines in cash and treasuries.